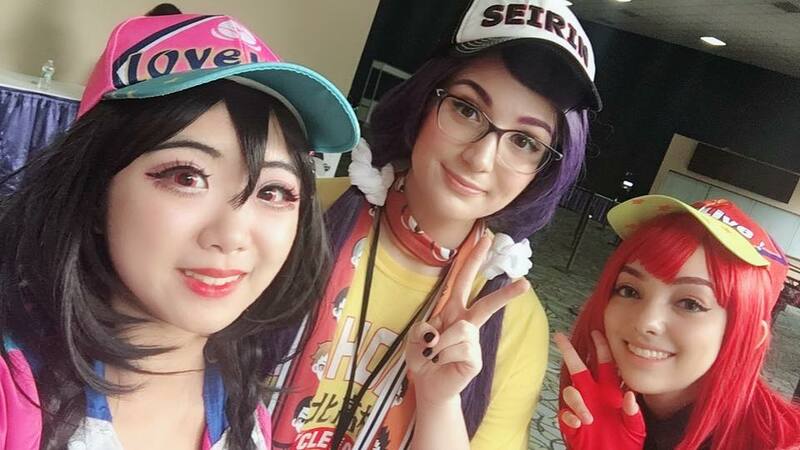 This year, Castle Point Anime Convention took place at the Meadowlands Expo Center in Secaucus, New Jersey. It is still a two-day convention, on May 19 and 20, but the biggest change was definitely the new location. The convention took over not just he Expo Center, but also the first and second floor of the Holiday Inn. Ongoing activities in the Holiday Inn included the Maid 4 U Café, manga library, KoroKoro Rice Ball Café, and plenty of panel rooms. There were also three CrunchyRoll rooms for anime lovers to sit in and watch their favorite animes or check out new ones. There were lots of sports animes in the Crunchyroll lineup: Haikyuu! !, Free!, Kuroko no Basket, Yuri on Ice, and my favorite — Diamond no Ace!! And of course, there were others like My Hero Academia, Dragon Ball Super, Log Horizon, and Fullmetal Alchemist: Brotherhood. 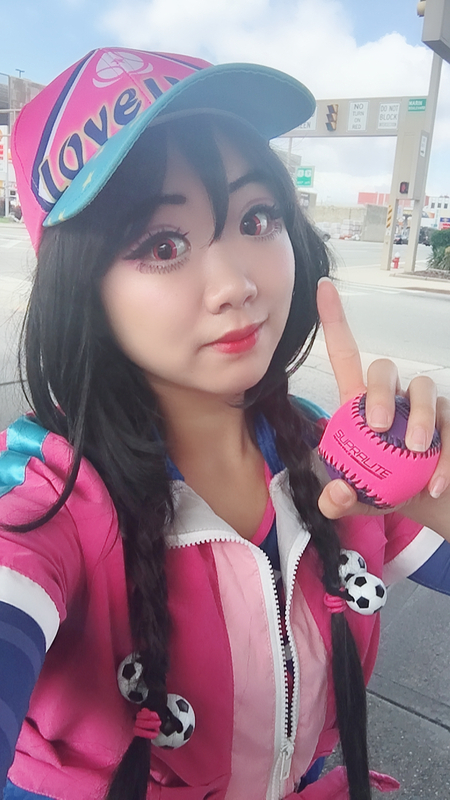 The first panel I attended at the con was the Daiya no CPAC (a Diamond no Ace panel)! I was super excited to see this panel on the schedule and knew I had to go and check it out. It was super fun! 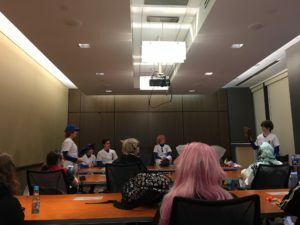 The cosplayers acted in character and played games with audience members like Truth or Dare, Q & A, and Speed Dating. I was the first participant in Speed Dating, and at the end, got Chris-senpai! 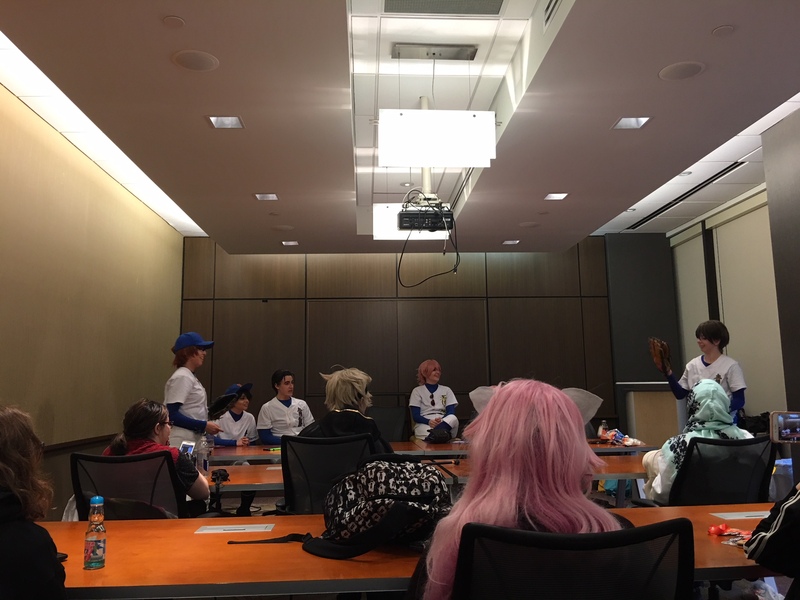 And the results of Speed Dating was amusing: in all of the rounds, only two characters were ever picked (Chris-senpai or Haruichi). After this panel, I went to the Love Live Sunshine Adventures! panel. 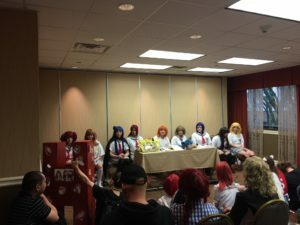 During this panel, audience members could play games and interact with the Aqours idols (cosplayers acting in character). One of the games was trivia about Love Live, and audience members could win prizes. My favorite part of this panel was when they played a Guess that Song game featuring Love Live songs. Audience members volunteered to team up with the panelists and competed against other teams. 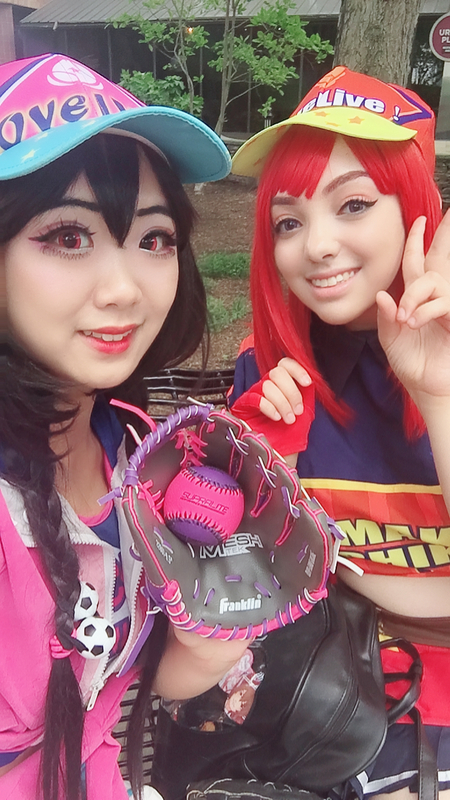 It was super fun to watch! The only proper meal I ate on Saturday was at BurgerFi. It was located right in the plaza that was surrounding the Holiday Inn courtyard. The plaza was really convenient because it felt like you didn’t have to leave the con to get food (or to find a great photoshoot spot). BurgerFi was excellent, and I had a delicious burger and onion rings (which were huge!). On Day 2 of CPAC, I checked out the Dealer’s Room and Artist Alley for the first time. They were combined in the same large space, right in the same area as the North Stage, South Stage, and Gaming Room (which included video games, card games, and tabletop games). For shopping, you can find lots of great items! Of course, there was anime and manga merchandise and fanart, but you can also find non-anime fandoms like Voltron and comics, as well as original art and fashion items (clothing, accessories, shoes). There were even vendors with cute stationery! From what I noticed at the con, most people and photographers did their photoshoots in the plaza area. The courtyard was a wide open space, so multiple shoots were happening at the same time. The cloudy weather made for great shooting conditions, and there was a lot of greenery which made for pretty backdrops. I also noticed some people shooting outside Embassy Suites, another hotel near the con. 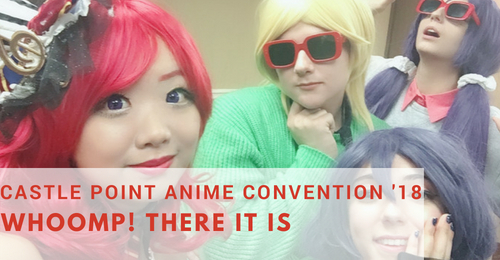 If you’re a photographer or cosplayer looking to get great photos, there’s no need to travel far to grab some nice shots at the con. I ate at BurgerFi again for dinner on Sunday, but this time, I tried their fried chicken sandwich and red velvet milkshake. Both were delightful, and I’d love to try other stuff from the menu! 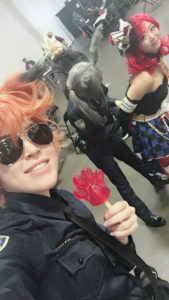 Last year, I was only able to attend CPAC for one day (Sunday), but I enjoyed the experience and hoped I would be able to make it for both days this year. So glad I was able to commute back and forth both days! If you’re planning on attending CPAC and are in NYC, it’s definitely doable to commute back and forth to the convention. On Day 1, I took the public transit route (subways and buses), and the bus has a stop right in front of the Expo Center. 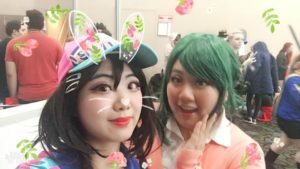 On Day 2, I carpooled with a friend, and there was free parking at the con (huge plus!). No regrets: it was a fun and chill con, and I’d love to go back to CPAC again. The good vibes continue on.